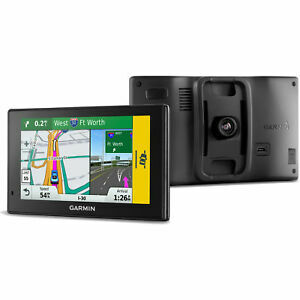 MPN: 0100154101 Screen Size: 5"
Always find your way with the Garmin Drive Assist 50 LMT Navigation System. This system can be easily mounted in your car and includes a dash cam. The dash cam can document your journey or provide evidence in the unfortunate event of an accident. This GPS unit features a clear, 5-inch display screen. Interface with the unit via its touchscreen or through voice commands. The device is Bluetooth ready for easy connectivity.